On December 18, 1989 Sports Illustrated released their final issue of the year. The cover featured NFL Hall of Fame quarterback Joe Montana, NBA Hall of Fame point guard Magic Johnson, and NHL Hall of Fame center Wayne Gretzky. The title of the cover was “They Dominated the ‘80s” a tribute to three champions. During the decade in which they dominated, these three men combined won 40% of the championships in their respective sport. Montana won the 1982, 1985, and 1989 Super Bowls (he also won in 1990). Magic won the 1980, 1982, 1985, 1987, and 1988 NBA Championships. The “Great One” Wayne Gretzky won the 1984, 1985, 1987, and 1988 Stanley Cup Championships. 1985 was a special year for those three as they each one their respective championship. 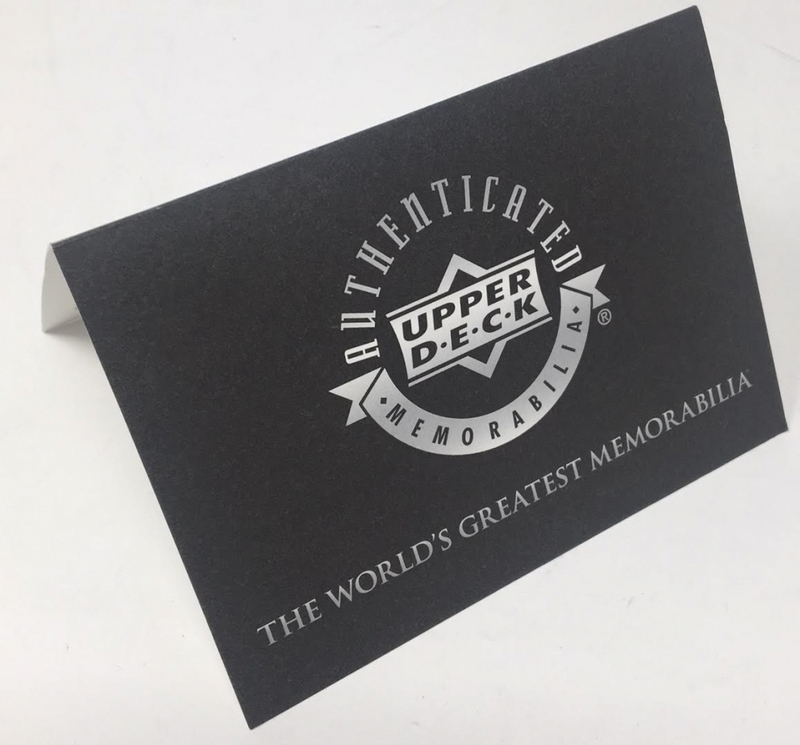 Upper Deck Authenticated has had all three hall of fame members sign and inscribe this limited edition (13) 20”x24” print of the cover with border in silver paint pen. 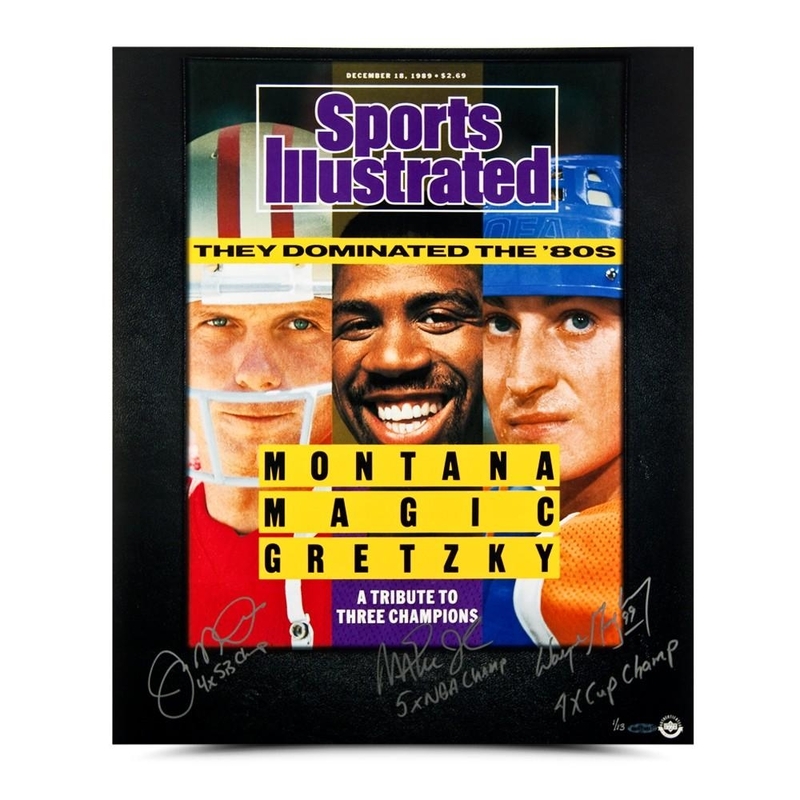 Limited to 13 for their total number of championships, Joe Montana has inscribed “4x SB Champ”, Magic Johnson has inscribed “5x NBA Champ, and Wayne has inscribed “4x Cup Champ”. 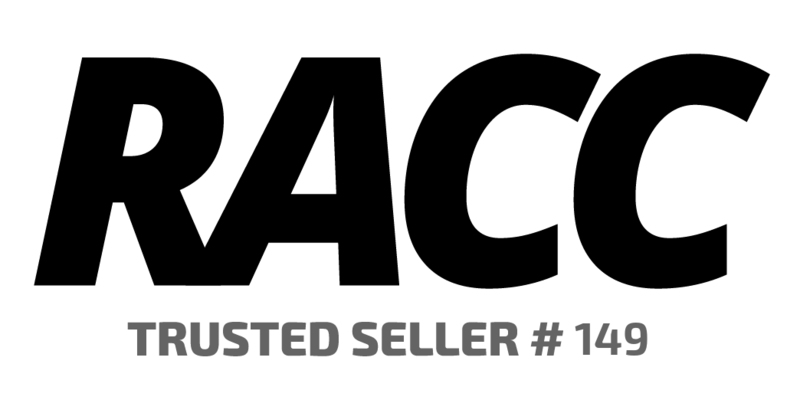 Their signatures and inscriptions are deemed authentic by virtue of Upper Deck Authenticated’s Five Step Process.